Everyone knows that the young hero is Nithiin Power Star Pawan Kalyan fans. Nithiin never tries his affection for his favorite star, even though he himself is hiding a hero. As Pawan who completed three projects, Nithiin also row three projects. 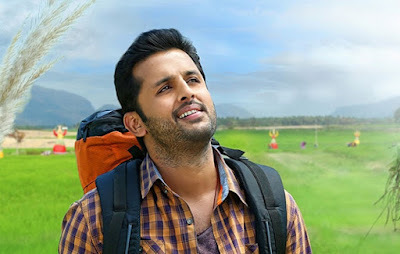 It is known that Nithiin currently is doing a film titled "Love Is Endless lie 'in the direction of Hanu Raghavapudi. The shoot of this film is going prsently. Apart from this film, Nithiin doing another film direction Krishna Chaitanya. This film is produced by Pawan Kalyan and Trivikram Srinivas. This movie is launched once again. Nithiin not stop at this. He has reportedly signed another movie recently. Producer KK Radha Mohan (producer of Bengal Tiger), this project bankroll. Script discussions are ongoing for this film according to the update. Other details such as director and lead heroines will soon be revealed.